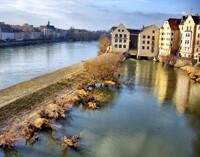 Visit one of the oldest cities in Germany, named a World Heritage Site by UNESCO. The school is situated in the Old Town of the city, with a cozy learning environment. If you are looking for a charming city, with everything in walking distance this is your school! General or Intensive courses available, with the option of accommodation in the same building or with host families. 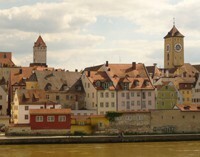 Regensburg is on the oldest cities in Germany. During World War 2 it escaped many bombings, and as the Old Town is surprisingly intact, many people choose visit its medieval structures. The school has a maximum of 80 students, making it a personal and cozy experience. 20 classes a week, 45 minutes long, from Monday to Friday. The main objective of this course is to improve your communication, as you will be given many opportunities to speak in class. All levels are welcome during the year. Your listening comprehension skills will be trained with special exercises, as well as you will be given the opportunity to improve your writing. You will work in small groups in order to improve rapidly. 30 classes a week, 45 minutes long, from Monday to Friday. We recommend this course to those who want to learn quickly. 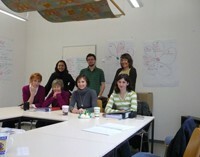 It includes the general language course in the morning, and 10 mini classes in groups of 2 – 4 people. Residences: in the same building, individual or double rooms with a shared bathroom and kitchen. All the rooms have Internet access (WLAN), and there are available shared laptops, washing machines, dryers, library and TV room. Enrolment, Informational material, (textbook not included), proof of your progress from when you start to the end, and an accredited final diploma. Airport transfers to and from the airport, medical insurance, cancellation of the flight is not included. There is public transport direct from Berlin airport and Hamburg. Berlin-Schönefeld airport is 24km southeast from Berlin and Tegel airport is the main airport in the capital. Both have buses to the city center. 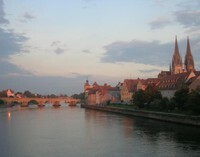 You can also get the subway from Munich to the Ferroviaria Central station, where there are many trains to Regensburg.